Initially, after making my return to Christ a few years back, prayer was easy. I wanted to pray, I enjoyed praying, and most importantly — I prayed. That was five years ago. At that time I was unmarried, had no children and was filled with “new convert zeal”. But now I am married, have a baby daughter, and am a chiropractor, speaker, catechist, writer and blogger. Oh, and my new convert zeal has long past leveled out. Things have definitely changed over the past few years — my prayer life included. Somewhat paradoxically, I often find prayer — which is both simple and essential to the Christian life — very difficult. This can be incredibly frustrating, no doubt about it, and especially because I know I need to pray to become the saint I am meant to be, and that my apostolate will crumble in vain without prayer and personal sanctity that comes from prayer. For the New Evangelist, prayer is essential. Why? Second, prayer can expand our time needed to fulfill our daily tasks. God created time and He can create more of it for your projects, if He wills. The life of the New Evangelist should consist of daily prayer, hard work, intentional study and carefree leisure, and all of these things require time. Yet we often feel like we do not have enough. The Missionaries of Charity in Calcutta once had the problem of “not enough time in the day” for their missionary projects. So their superior, Blessed Mother Theresa mandated an extra hour in front of the Blessed Sacrament as part of the daily routine. As a result, the Author of Time granted the sisters more time because of their extended time spent with God. Indeed, their lack of time was transformed into an abundance. Third, prayer is stronger than arguments. Arguments are indeed important (and necessary) when explaining and defending the faith but to achieve the greatest effects on the one whom we are evangelizing, we should unite prayer with our intellectual efforts. 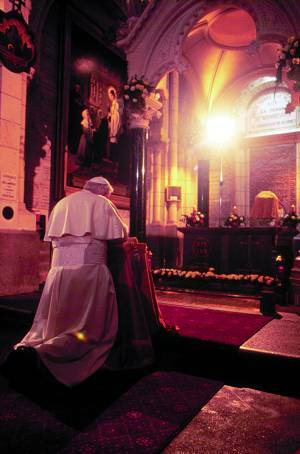 Thus, the soul of the New Evangelist’s apostolate is prayer. St. Ambrose of Milan recognized this; and when St. Monica came to him about her delinquent son who refused to hear her pleas and arguments regarding the truth of the Catholic way of life, St. Ambrose gave her advice which led to her son’s conversion. She heeded his special advice and her son eventually was baptized and became Catholic. Then he became a priest. Then a bishop. He became a great defender of the Catholic Church and a renowned theologian. Eventually he became saint. And he is now recognized as a Doctor of the Church. His name was Augustine. What was St. Ambrose’s special advice to St. Monica? Clearly, prayer is powerful and a must-have utility for every New Evangelist. As a prayerful evangelizer, you will grow in sanctity and simultaneously make your task of bringing others to Christ more fruitful. 1. Distractions. Laptop, iPad, iPhone, Facebook, Twitter, email, books, spouse, children and the list of potential distractions goes on and on (yes, this is a list of my own personal distractions that come to mind). Distractions sometimes make prayer seem almost impossible. Now let me be clear: distractions are everywhere and sometimes unavoidable. This does not mean we should not pray amidst those distractions. The simple fact is that we live in a noisy world and we must persevere in seeking God even when we are bombarded by the milieu of daily life in the world. But still, we must seek pure silence, where God can speak most clearly and where we are most single-hearted in our receptivity to His Word. I recommend praying in the early morning. Almost every saint I have read on the subject of prayer recommends praying in the silence of morning. Try it and you’ll see why. 2. Prayer has not become a habit. One thing I love about the influential Catholic speaker and author, Matthew Kelly, is that he emphasizes the importance of forming good habits. Good habits lead to good character, and good character is the mark of a virtuous person. And the more virtuous a person is, the closer they are to becoming the saint they are meant to be. And this is what prayer is all about. This is what life is all about. I. Habits are formed by repetition. II. Good habits are usually not easy to form. Therefore, you must prepare for a battle and persevere. Effort will be required. But the rewards are monumental — eternal even. 3. Love is often challenging. Prayer is an act of love. Therefore, prayer is often challenging. 4. Silence. Many of us are addicted to noise, which rises out of our addiction to activity. We avoid silence like the plague. I catch myself avoiding silence on a regular occasion. But silence, when we can get past the uncomfortable first few moments, suddenly becomes rejuvenating and life-giving, enlightening and sanctifying, particularly when we place ourselves in the presence of God. I. Call to mind that God is everywhere. II. Call to mind that God is in your heart and mind. III. Call to mind that God looks upon you from heaven. VI. Imagine Christ beside you, in the flesh, as a friend in your company. 5. Over-complications. There are countless methods of prayer in our rich Church tradition. The Mass, Liturgy of the Hours, Lectio Divina, the Rosary and the Divine Mercy Chaplet. And on and on and on goes the list of “ways” to prayer. But, aside from the Mass, these prayers are not necessarily right for us here and now. Perhaps we need to approach prayer from a much simpler perspective. Prayer — even saintly prayer — can be simple. You just gotta show up. Years ago, an old man in the village of Ars, France, would show up daily at his local church. He would sit in a pew and fix his gaze on the Blessed Sacrament, and there he would stay for great lengths of time undisturbed. One day, St. John Vianney, his parish priest, inquired about “what he does” when he takes his place each day in the pew. The old man replied, “I just look at Him and He looks at me.” Beautifully simple, isn’t it? Matthew Kelly calls time spent before the tabernacle, spending time in the “classroom of silence.” The reason why needs no further explanation. I think the reason why is self-evident. Truly, little intentional moments before the tabernacle have transformed my own life. When I come before Christ in the tabernacle, sometimes I kneel, sometimes I sit. Sometimes I speak with God, sometimes I just soak up His presence in pure silence and listen. Sometimes I am there for less than a minute and other times longer. But one thing is for sure. Never have I regretted a decision to visit Jesus in the tabernacle. Never. The Introduction to the Devout Life by St. Francis de Sales: This book is a classic guide to the Christian life for laypeople. In this book, St. Francis (a master apologist and evangelizer I should note) gives practical ways to make life more devout and prayerful for ordinary men and woman like you and I. A must-read for lay Catholics especially. The Soul of the Apostolate by Jean-Baptiste Chautard: St. Pope Pius X’s favorite book and another must-have. For anyone actively engaged in ministry of any kind, I cannot emphasize the importance of this book enough. The Practice Of The Presence Of God by Brother Lawrence: Who would have thought picking up a piece of straw could become a devout prayer in and of itself! For a practical (and quick) read on how to pray throughout your busy day, read this classic! How I Pray by Brandon Vogt (article): In this recent blog post, Brandon unveils his own creative strategies for maintaining a personal prayer life. You won’t find a more practical leader in the New Evangelization than Brandon Vogt! 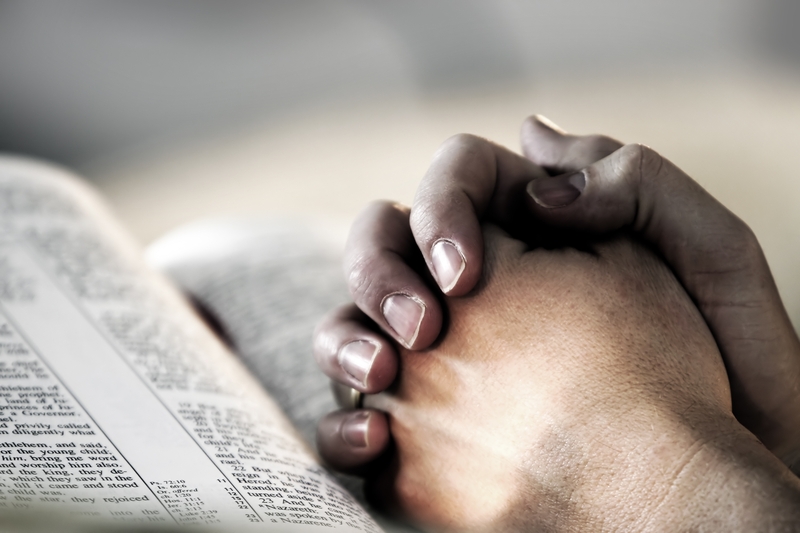 How I Pray Now by Patrick Madrid (article): One of the Church’s most experienced apologists explains the ins and outs of his personal and family prayer life. Prayer For Beginners by Peter Kreeft (podcast): For more insight on “simple” prayer, who could be better to turn to than Dr. Kreeft? Previous Post Who Do You Say Jesus Is?